Residents line up to take home a bag of fresh produce near Logan Square Health Center in Chicago, as part of Cook County Health and Hospitals System's food pantry program, which distributes food every other month. CHICAGO—On a typically busy Tuesday morning, a line of more than 100 people forms along the sidewalk outside the Logan Square Health Center, a primary-care clinic located on Chicago's northwest side. The line soon stretches almost half the length of a city block as patients wait anxiously to be served. Working in partnership with the Greater Chicago Food Depository, a "Fresh Truck" arrives at one of 12 clinic sites once every other month and stays for 90 minutes. Cook County staffers screen patients for food needs with a two-question survey. Such efforts provide patients a small opportunity to gain access to nutritious food, but arguably the program's greatest impact is in enrolling people into government aid programs such as the Supplemental Nutrition Assistance Program, or SNAP, and the Special Supplemental Nutrition Program for Women, Infants and Children, known as WIC. In 2016 and 2017, nearly 300 patients who visited a distribution site were enrolled and began receiving benefits. "There are organizations in the community that know where hungry people are, and one of them is health systems," said Dr. Jay Shannon, CEO of the Cook County health system. 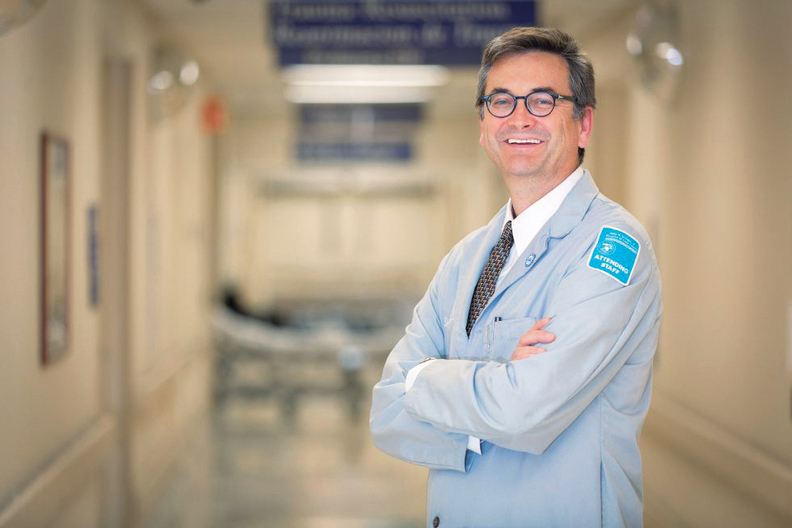 Shannon, despite years of experience leading public hospitals, said that when the system first began screening patients for food insecurity in 2015, he was startled to find such a high proportion of the individuals who visit the outpatient centers were food-insecure. The U.S. Department of Agriculture defines food insecurity as households that have limited or uncertain access to adequate food. The rate of food insecurity among the system's patients ranged from 18% to as high as 30% at some clinics. Countywide, 1 in 7 residents were food-insecure in 2015, according to data from the hunger advocacy organization Feeding America. Even with the high demand for help, the federal food assistance programs are currently more likely to be cut than expanded. The Trump administration as well as congressional Republicans have led efforts over the past year to drastically change SNAP and impose significant reductions. The president's fiscal 2019 budget request seeks to cut SNAP by 30% over the next 10 years as well as new eligibility restrictions. The plan also proposes creating a home-delivery program to provide canned goods and boxed foods to beneficiaries as a replacement for a portion of their benefits. The threat of cuts to programs like SNAP and WIC concerns healthcare stakeholders. They say losing billions of dollars in federal supplemental nutritional aid if those safety-net programs are cut would undermine progress in reducing the role social determinants such as food insecurity play in poor health outcomes for their patients. "WIC and SNAP are providing basic nutrition to millions of people," said William George, CEO of Health Partners Plans, a managed-care organization based in southeastern Pennsylvania. For many already in poor health, the lack of such programs would only "exacerbate their medical conditions," he said. In 2015 HPP partnered with the Philadelphia-based not-for-profit Metropolitan Area Neighborhood Nutrition Alliance, or MANNA, to expand the group's program of delivering healthy meals and nutrition counseling to health plan members with hard-to-manage chronic conditions. A recent HPP report detailing results of the program found 26% of diabetic members who participated in the six-week program experienced lower blood-glucose levels, contributing to lower overall healthcare costs. As of April 1, the program has delivered more than 530,000 meals to 2,100 of HPP's members. Yet George acknowledged such efforts were only able to make a small impact compared with the scope of the problem since many of HPP's members are Medicaid or CHIP recipients. Health Partners Plans employees volunteer to prepare nutritious meals at the home of their partner organization, the Metropolitan Area Neighborhood Nutrition Alliance in Philladelphia. "We're feeding people where we believe there is a direct correlation between food insecurity and managing healthcare," George said. "In a population that is impoverished, one could speculate that the entire population is food-insecure." Nationally, more than 41 million Americans were identified as being food-insecure in 2016, according to the USDA. Food insecurity has been found to directly affect healthcare costs. A 2015 study published in the Canadian Medical Association Journal found healthcare costs for food-insecure households were more than twice as high as households that were food secure. A USDA study released last July found lower food security was associated with a higher likelihood of developing an array of chronic conditions, including hypertension, heart disease, stroke, cancer, asthma, diabetes, arthritis, chronic obstructive pulmonary disease and kidney disease. "We can prescribe expensive medications and treatments, but if people don't have food on their table and we don't ask those basic questions, then we really haven't provided for their most basic of needs," said Randy Oostra, CEO of ProMedica, a not-for-profit health system serving northwest Ohio and southeast Michigan. ProMedica is one of a small number of healthcare providers throughout the country that have been at the forefront of a nationwide effort to address social determinants of health such as poverty, homelessness and food insecurity as a means of improving wellness and ultimately lowering healthcare costs. In 2013 ProMedica launched its food reclamation initiative, where unserved food that was slated to be discarded from local restaurants and other food establishments is repackaged and distributed through the local food bank to homeless shelters and food pantries, resulting in more than 275,000 pounds of food being reclaimed. The system has screened patients for food insecurity since 2014. Last year alone, it screened more than 500,000 patients. Patients found to be food-insecure can be referred to one of the system's "food pharmacies," which ProMedica launched in 2015. Patients receive a prescription to receive up to three days worth of food to take home. Perhaps ProMedica's biggest impact has been in its role as a national advocate. In 2015, the system along with the AARP Foundation formed the Root Cause Coalition, a not-for-profit organization that includes health systems, insurers and advocacy organizations dedicated to addressing the causes of health inequity. Oostra said maintaining programs such as SNAP and WIC are just as much of a health issue as maintaining Medicaid coverage. "The idea that has always bothered me is that the SNAP discussion becomes a money discussion, but the basic health discussion in our country is about feeding people," Oostra said. "It's the most effective treatment." Systems will forge ahead while they can. 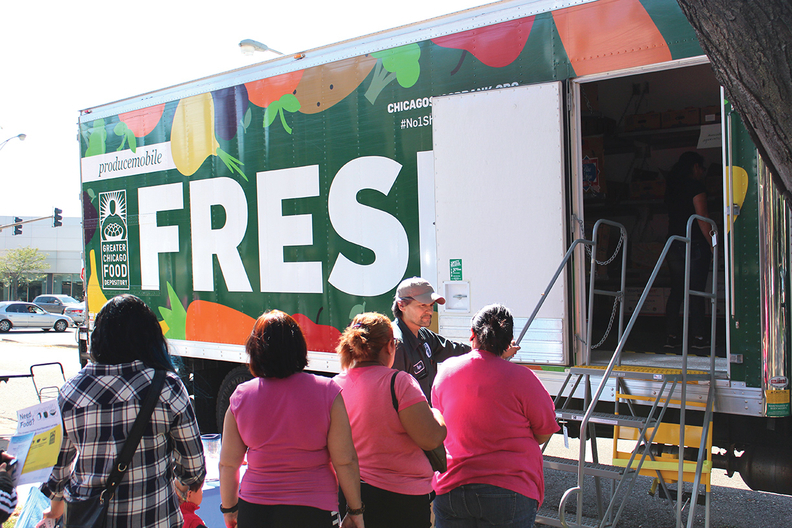 Back in the Chicago area, Cook County's Fresh Truck program has made 101 visits as of last month, resulting in the distribution of more than 332,000 pounds of fresh produce to more than 12,300 individuals representing 41,000 households. Kate Maehr, executive director and CEO of the Greater Chicago Food Depository, said teaming up with Cook County was a natural choice since the health system and her organization often provide services to the same people. But she said for all of the work through assistance efforts like Fresh Truck, they can never match the impact of a program such as SNAP, which provided benefits to more than 800,000 county residents as of February 2018, according to the Illinois Department of Human Services. "There is a somewhat misguided notion that charity can do it all," Maehr said. "While I am the biggest fan of programs like the Fresh Truck, charity cannot fill this gap."